I tried to make a connection between what is happening in Wall Street, and all those conflicts that I have been a part of and write about… What connects these problems is exclusion… We have a problem on our hands. A problem that needs to be addressed systemically. And I can just say that no individual, no corporation can be allowed to have such unfettered wealth, such unfettered power. There has to be a cap on what corporations can have, what individuals can have. 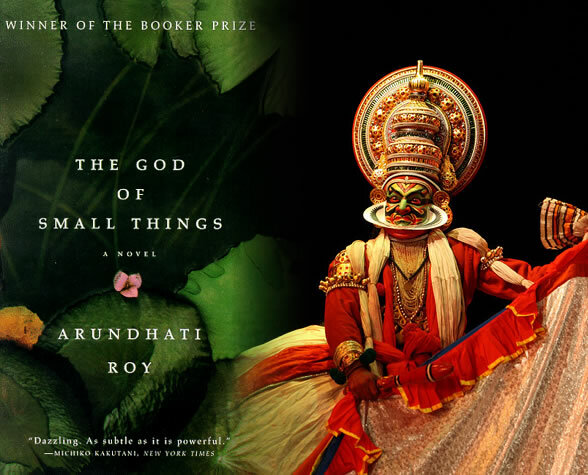 Fearless author Arundhati Roy’s first and only novel to date, The God of Small Things is a critically acclaimed best seller and winner of the prestigious Booker Prize award. The book, published in 1997, is well worth the hype. Not only is it a literary delight in terms of the construction of the plot, the richness of the prose and the mastery with which Roy illustrates imagery; the several underlying themes in the fairly straightforward plot paint a vivid and brutally accurate picture of the political and social issues in modern India. Anna Hazare is a great admirer of Narendra Modi, the architect of the 2002 genocide of Muslims in the state of Gujarat; and once supported Raj Thakeray’s Maratha movement, which essentially calls for Hindu radicalism and widespread discrimination against immigrants in Bombay who came from other areas in the country. Anna Hazare’s protest was led by a host of NGO activists funded by Ford Foundation, Coca Cola, the Lehman Brothers, real estate companies, and other multinationals. The Jan Lokpal bill, which is what his protest is fighting for, is one that calls for the setup of a draconian institution which will give a handful number of people to persecute supposed corrupt individuals. Anna Hazare’s movement simply capitalizes on the genuine rage that people in India have over corrupt, high-ranking employees in the public sector. For protest movements of the powerful, protest movements where the media is on your side, protest movements where the government is scared of you, protest movements where the police disarm themselves, how many movements are going to be there like that? While you are talking about this, the army is getting ready to move into central India to fight the poorest people in this country, and I can tell you there are not disarmed. I don’t know what lessons you can draw from a protest movement that has privileges that no other protest movement I have ever known has had. When you take up the national flag; when you are fighting colonialism it means one thing, when you are a supposedly free nation, that national flag is always about exclusion, and not inclusion. You took up that flag and the state was paralyzed – a state which is not scared of slaughtering people in the dark suddenly was paralyzed. You talk about the fact that it was a non-violent movement; yes, because the police were disarmed. They were just too scared to do anything. You had “Bharat mata’s” photo first, and then it was replaced by Gandhi. You had people who were openly part of the (Krantikari Manuwadi Morcha) there. So you had this cocktail of very dangerous things going on… Imagine Gandhi going to a private hospital after his fast! A private hospital that symbolizes the withdrawal of the state from healthcare for the poor. A private hospital where the doctors charge Rs. 100,000 every time they inhale and exhale. Arundhati Roy is an Indian novelist, and winner of the Booker Prize for her Novel, The God of Small Things. Her writings on various social, environmental and political issues have been a subject of major controversy in India.